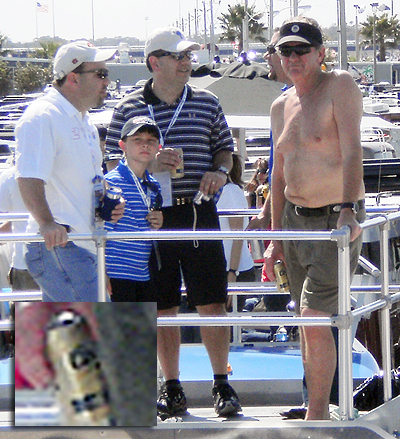 Forget Punxsutawney Phil and shadows: The surest indication that spring is just around the corner is Steve Spurrier parading around Columbia without a shirt. Right on time, there's the Old Ball Coach providing us with his annual reminder yesterday at South Carolina's spring practice. Feeling warmer already, aren't you? Update (2:24 p.m.): As a number of readers have noted, it was fairly cold yesterday in Columbia. The photo was likely taken last year, but the point still stands: Springtime is nearly upon us.